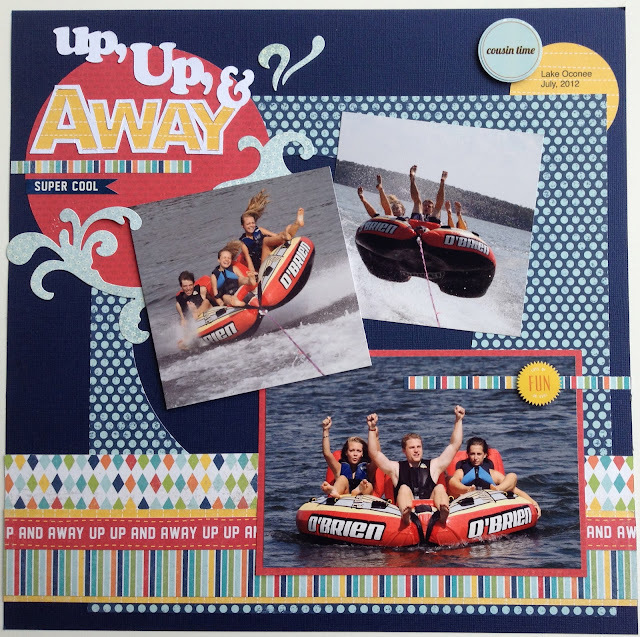 Artsy Albums Mini Album and Page Layout Kits and Custom Designed Scrapbooks by Traci Penrod: Up, Up and Away Frosted Designs Challenge! It's time for another challenge over at Frosted Designs! and this one is SO FUN! "Up, Up, and Away" ... it could be birds, airplanes, kites....etc. I had fun creating my layout with photos of the kids flying through the air on their lake tube last summer. Scares me to death every time they yell "faster!" and my dad (who is always driving the boat) turns around with a big sneaky grin....he is all about his grandkids having fun! Fun pictures....fun layout....fun challenge! So head over to Frosted Designs and link your "Up, Up and Away" project! There's a great prize to be had....but you can't win if you don't play! Great layout! The photos look like everyone was having such a great time! I love the way you did the title!! What a fun layout. You have captured the fun in the photos so well in the page design. Love it.